Metroplex Arbor Care offers Certified Arborist for Residential and Commercial Clients in Arlington, TX. We are a top rated tree service in the state of Texas. We are a tree removal Arlington, TX company that provides safe tree solutions when removing a tree from your property. We follow all safety guidelines laid out by the ISA and the state of Texas to ensure your overall protection. 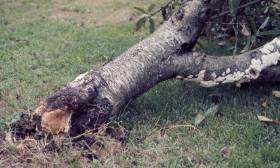 When it comes to Arlington tree removal services make the right choice insured and bonded Metroplex Arbor Care. Our tree injection specialist is experts in the arena of injecting your trees back into a healthy state of living. We provide the highest quality of tree injections here at Metroplex Arbor Care. From professional arborist to the best quality injections you can get here with us. Don’t trust your trees with a un-certified arborist, remember that tree trimming is tree surgery and you should have a certified tree doctor performing that delicate job on your trees. Your trees are the most valuable asset and investment you have on your property. Professional Arborist in Arlington, TX. Metroplex arbor care a leading provider of treating tree disease, sick trees, and a complete tree service company in Arlington Texas. Let our arbor team educate you on how to properly care for your plantation. We have extensive experience in treating trees, tree conservation, tree planting, tree trimming, tree removal and great tips on keeping your trees healthy year round. Our company was founded in 1992 and we have been servicing Arlington, TX, and DFW for the past 25 years helping residential and commercial clients maintain their landscape keeping it free from insects and diseases. We have state ISA International Society of Arboriculture Arborist on staff that can help assist in any of your questions you might have with your shrubs, plants and, trees. We also have gat tree programs were if we remove a tree and you spend $1000 plus we will plant a new young tree in its place at no additional charge. We also have safe pesticides to keep your trees free from insects with the safest methods in the tree industry. Our technicians or TDA certified with the Texas Department of Agriculture to work with excellence and safety protocols with pesticides. We have extensive experience with all species of trees and a variety of diseases being able to diagnose an issue on site or work closely with laboratories to be able to send analysis and get a proper diagnosis. Whenever needing an arborist in Arlington to give Metroplex Arbor Care a call. Safe, Competent, and Insured Tree Removal. Metroplex Arbor Care your leading provider for all your tree removal needs in the mid-cities of DFW. We take pride in the fact that we are one of the best companies to choose from for your tree removal service. We have been servicing Arlington, Texas for the past 25+ years with an unparalleled service rating. Not only are we the choice for residential and commercial clients we have also been awarded the safety star award by the ISA for the protocols which we have in place with our employees. Rest assured that when we show up to your property your family, personal belongings, are in good hands because of the safety guidelines that we follow. Remember that tree removal is dangerous work and whenever removing a sick tree you need to keep in mind that not only our employees but your property could be at risk. You can avoid all this because we have a five-star rating insurance which covers workmen’s compensation, general liability, property damage, and a dishonesty bond. This protects us and you from any liabilities while doing or performing work on your property. Every one of our technicians is trained to detail with all ISA and arbor care for your tree removal, making us the right choice for your next tree service job. 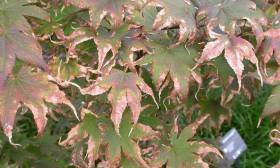 Do you have sick trees on your property, are they getting brown out of season? 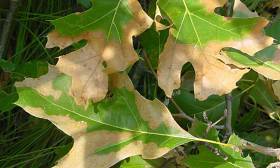 North Texas has a variety of diseases that can kill your trees in a matter of months. It’s essential for your trees overall health and longevity for you to schedule a tree arborist to go out to your property and evaluate the health of your trees. We have trained professionals that are state certified arborist with the State of Texas that can diagnose your plantation on our first visitation. If needed we also have one of the best labs in the State of Texas at UTA where we send all our core samples and soil tests. Tree disease has taken the lives over 100,000 trees in the last decade in the State of Texas. And in most cases can be avoided with a simple check- up. We have the best tree injections, systematic deep root feeding in our industry. Not only can we save your trees but we can bring them back to normal healthy functions within a matter of weeks. Using an ISA Certified Arborist. Tree trimming should not be entrusted to anyone other than a tree arborist certified by the State of Texas. Rest assured, that you’re in good hands with our tree trimming service for the simple fact that everyone on our staff is following the correct high standards of ANSI-A300 by the International Society of Arboriculture. Tree pruning can result in your trees living a lavish and easy lifespan and being healthy year round. In the same way in proper pruning can result in disastrous results with your tree not being able to feed themselves properly and growing deformed. ISA Stands for “International Society of Arboriculture”. We have done well over 10,000 different tree pruning jobs in the past decade. When it comes to your Arlington, Texas trees trust no one else other than the trained professionals at Metroplex Arbor Care. Irrigation is one of the most important things for your trees overall health. Keep in mind that proper irrigation is important because over saturating the ground can actually cause root rot a common tree disease in shade trees. A good rule of thumb to making sure that your tree stays healthy year-round is adequate water. Five minutes every other day from spring through fall should be plenty of water to keep your trees hydrated. Tree mulch is extremely important to make sure that your root system is protected during the harsh winter months and the drought season of summer. Making sure you don’t over mulch your trees is important, a good rule of thumb is 3 inches in height only, stay away from the root flare at the base of the tree by at least 3 inches and apply your mulch in a circular motion to the drip fall of the branches. Tree pruning should only be done by a trained professional certified by the International Society of Arboriculture. A trained arborist can properly diagnose which branches need to be cut back or completely removed this will allow your trees to have the proper growth patterns for their future overall health. You can also ask your Metroplex Arbor Care Arborist professional what can be done in between pruning sections for better overall health. Weatherford, Azle, Mansfield, Bedford, Benbrook, Blue Mound, Burleson, Colleyville, Crowley, Dalworthington Gardens, Edgecliff Valley, Euless, Everman, Flower Mound, Forest Hill, Fort Worth, Grapevine, Haltom City, Haslet, Hurst, Keller, Kennedale, Lake Worth, Lakeside, Newark, North Richland Hills, Pantego, Pelican Bay, Rendon, Richland Hills, River Oaks, Saginaw, Sansom Park, South Lake, Trophy Club, Watauga, Westlake, Westover Hills, White Settlement, Joshua, Alvarado, Rivercrest, Keller. We have in-house Texas Certified Arborist.